My last show at this year’s Toronto Fringe took me back to the Tarragon Theatre Solo Room for Autistic Productions’ run of Adam Schwartz’s Aspergers: A Tale of a Social Misfit. Highly entertaining, this is stand-up delivered from the point of view of someone on the Autism Spectrum. From coming to terms with his diagnosis as a kid – and school bullying and exclusion – to dealing with the challenges of being a socially awkward adult and struggling with meeting women, Schwartz delivers funny and insightful observations about the perceptions of someone living with autism, as well as the rules of engagement he lives by. Taking experiences of losses and wins, and turning them into bits, Schwartz really connects with the audience, making us laugh – and also gently educating us at the same time. The lighter side of the Autism Spectrum in hilarious, informative stand-up show Aspergers: A Tale of a Social Misfit. Aspergers: A Tale of a Social Misfit closed yesterday (as did the Toronto Fringe), but keep an eye out for Adam Schwartz. 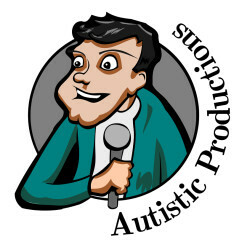 You can also follow Autistic Productions on Twitter. Also be sure to check out The Best of the Fringe 2015, running July 15-29 at the Toronto Centre for the Arts.